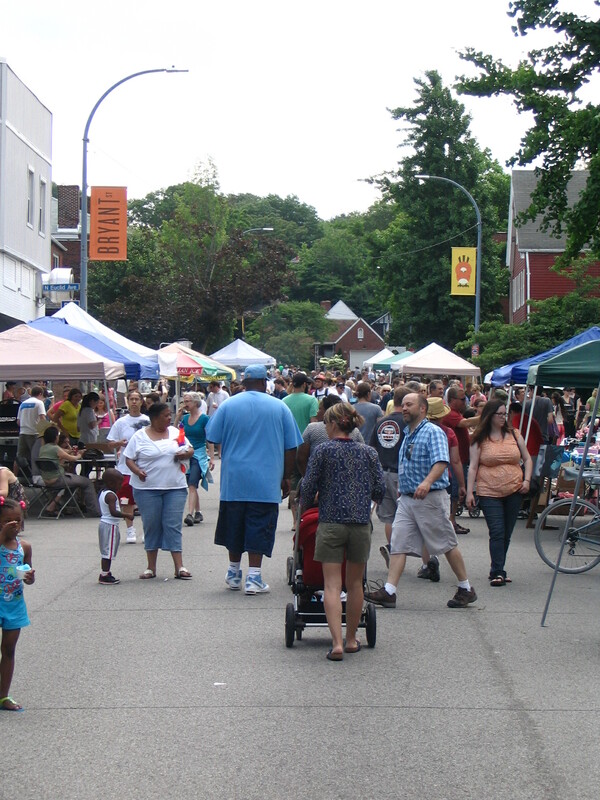 The Highland Park Yard Sale will be held Sunday June 7th and is followed at noon by the Bryant Street Festival. Every year, over 1,000 people participate in this event which supports the community and the HPCC. Registration in the Yard Sale is now closed. The Yard Sale map will be available online and at the Flea Market on Bryant Street. Check out the Pre Sale Peek What is for Sale Where 2015 of what will be available, or find out more on the Yard Sale FAQ 2015. After a healthy morning of walking our tree-lined streets in search of your favorite yard sale find, we invite you to join us on Bryant Street, the heart of our business district, for live musical performances, delicious foods from our local businesses and neighbors, and artists selling their jewelry, ceramics, stationery and much more. The Festival runs from 12 Noon – 5 p.m. and is located between N. St. Clair and Highland Ave. on Bryant St. We are also in need of volunteers to help with set up and take down of the event.